Janome is undoubtedly one of the biggest and most popular brands of overlocker machines at the moment. The Janome 6234XL Overlocker therefore is worth more than passing look. 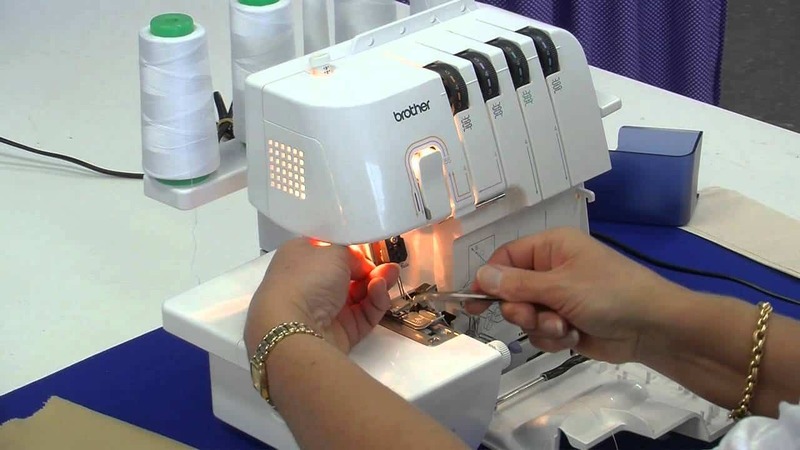 Designed with Janome’s attention to detail and interest in attracting newbies and old hats at sewing to the world of overlockers, the 6234XL is a mid priced model that offers a lot of capabilities and versatility in an easy-to use package. To give you a better idea of just how good this overlocker machine is, let’s take a closer look at it in our review. Janome 6234XL, like others from the manufacturer are designed and built to have a differential feed that enables you to work with a wide variety of fabrics, including the toucher materials such as denim and the more delicate like chiffon and lace. 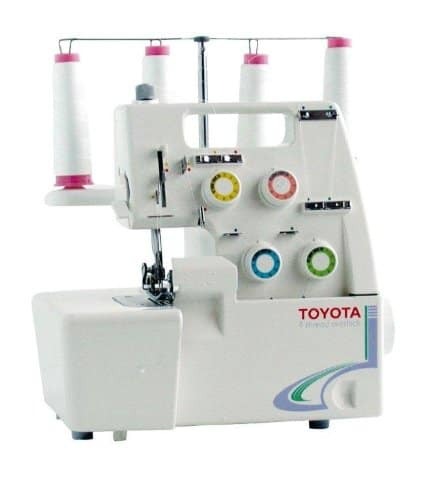 This particular overlocker has a differential feed that can be set between 0.5 and 2.2. A quick note on differential feeds. 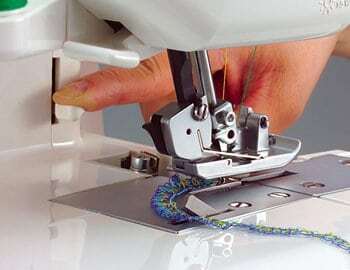 If you are new to overlockers, it is important to understand that the differential feed is the part of the overlocker that controls the feed dogs under the machine’s presser foot movement. 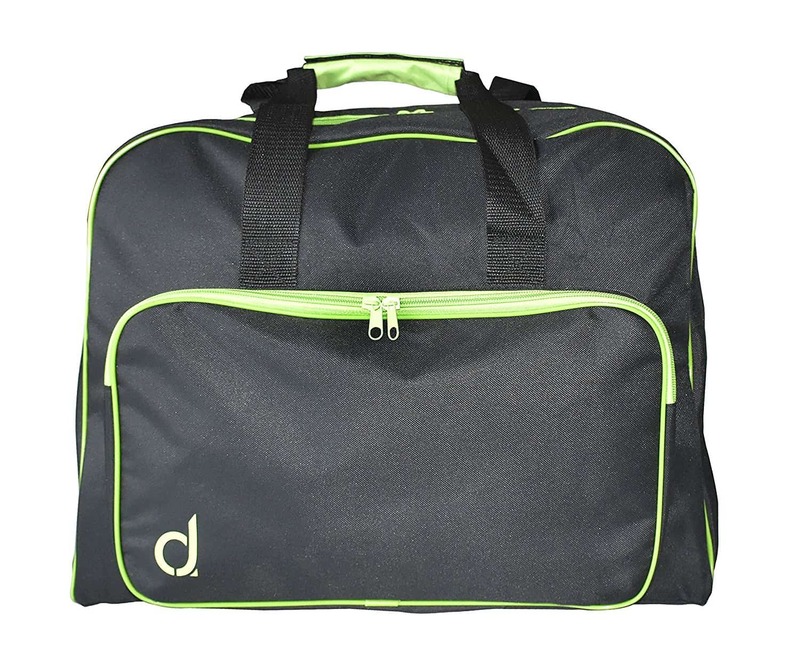 As well as offering the above ability to work with a wide array of materials it also protects the fabrics you are using from gathering, stretching and puckering. Without a doubt, threading can be the biggest bug bare about setting up an overlocker that puts most people off purchasing or using one in the first place. For the brave few that move forward and try to do it, often suffer from headaches and stress. 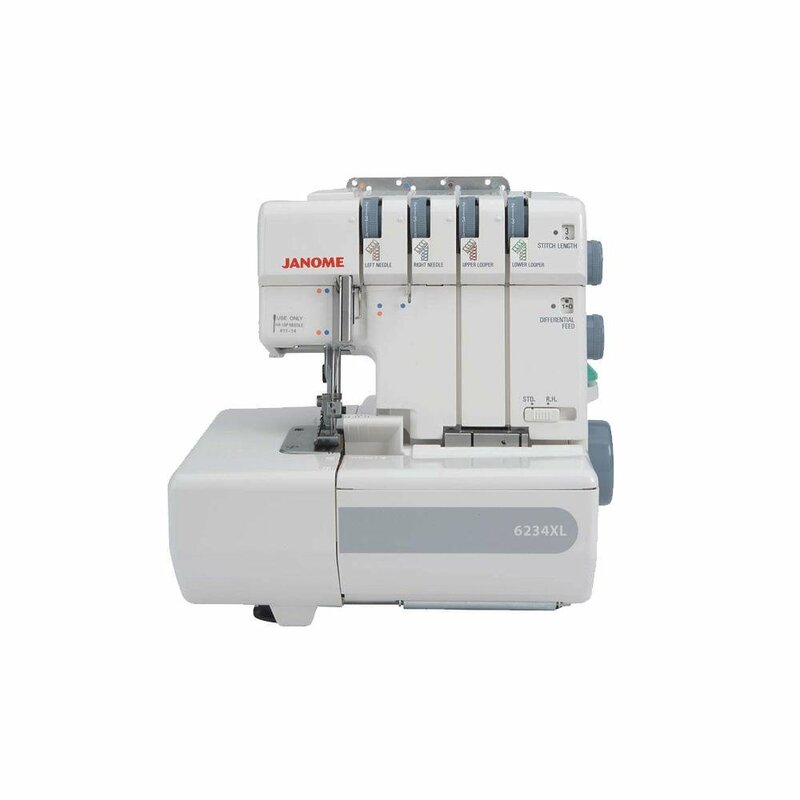 However, with the Janome 6234XL, like their other models, features an easy-to-use lay-in threading system. There are even colour-coded guides to complete the threading process with little to no stress or hassle. By following the colour codes and the fact it has a self-threading lower looper. 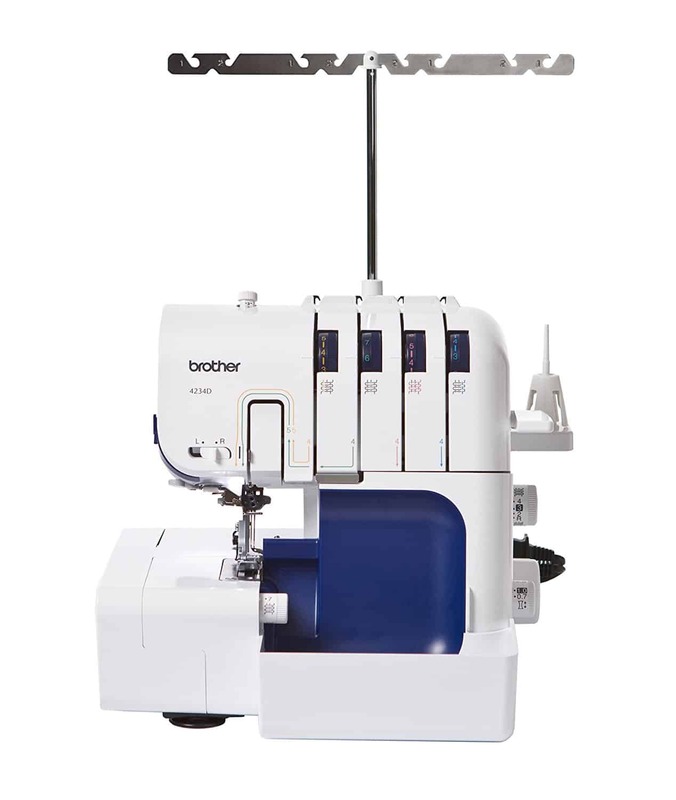 Compared to many of the other overlocker machines out there, with the Janome 6234XL you don’t have to change the needle plate to work on rolled hemming. This makes it very easy to switch between rolled hemmings and not, depending on the particular sewing task you are working on. Janome know that their customers and the users of their machines are interested in a wide array of different overlocking and sewing techniques and are at varying points along their sewing experience journey. So, whether you are looking to complete simple hems, decorative and fancy effects or edges or good old fashioned ruffles. This Janome 6234XL machine is around 39.8 by 36.6 by 32 cm. It is also incredibly lightweight. Differential feed that not only prevents puckering, gathering and stretching but also can be utilised for creative hemming techniques. There are little to no disadvantages we can find with this Janome 6234XL. If we had to be picky though, the only real downside to it is the fact that you may find it difficult to use in work areas or parts of your home with poor lighting, as there is no LED screen. However, this is probably a very little issue that can be resolved very easily. 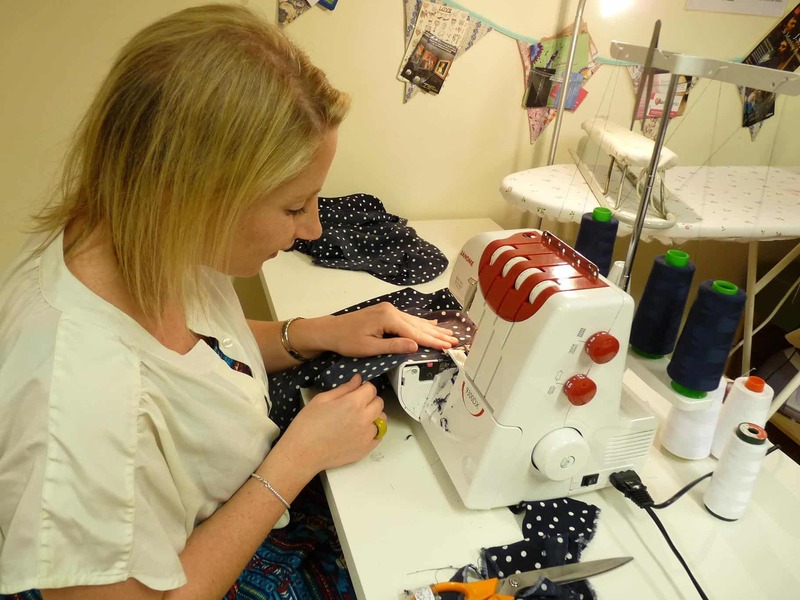 While there are only a few reviews of the Janome 6234XL, but based on the few that are out there – most customers are delighted with this overlocker. Short of stating that it is ‘simply awesome’, reviewers seem to appreciate the fact it is easy to setup and use. With the above in mind, the Janome 6234XL overlocker may just be the machine you are looking for if you have a reasonable budget and are looking for something that you can get sewing with straight away. It is so easy to thread and use, whether you are tackling a simple sewing task or a more complicated and fancy hemming technique. It may be a little pricier than some of the other overlockers available but with the branding of Janome across it and the fact it offers a wide array of accessories and versatility means it has everything you could ever need or want.